RH offers informed opinion pieces and detailed analyses that examine both the challenges currently facing industry as well as covering future platforms and technologies. 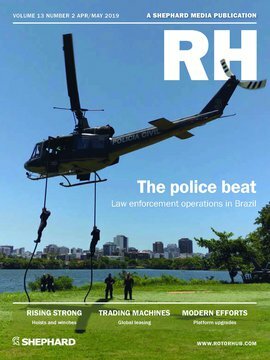 If you want to stay informed on the latest trends and keep abreast of future technologies across the commercial helicopter world, RH examines and provides the information you need. The publication has a global print/digital readership of over 44,000, including rotorcraft operators, contractors and industry leaders. Serving government personnel are eligable for a 50% discount. Please fill in a request form here to apply.